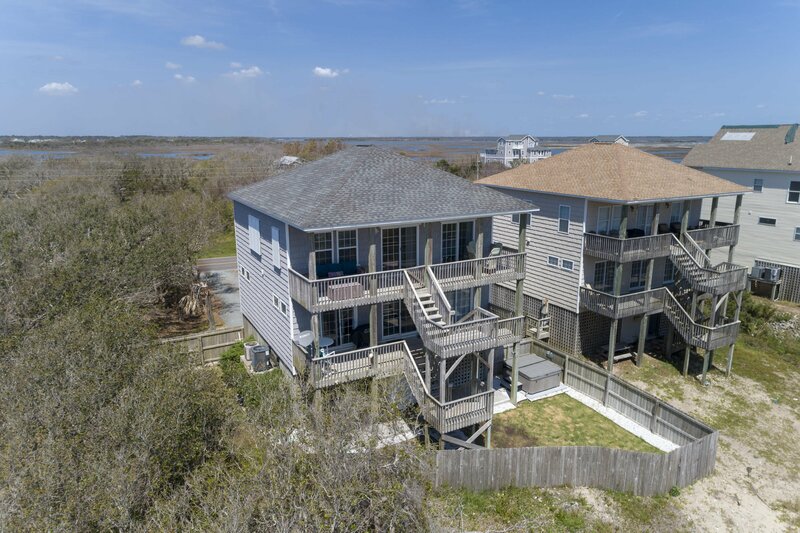 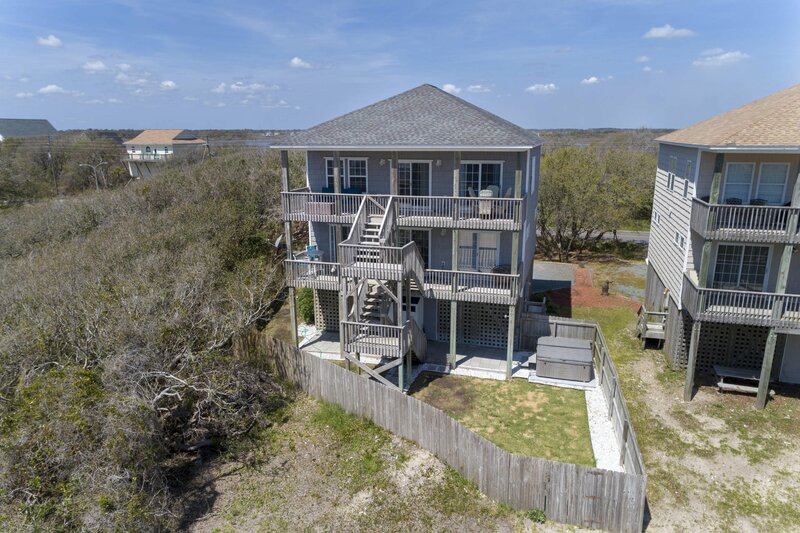 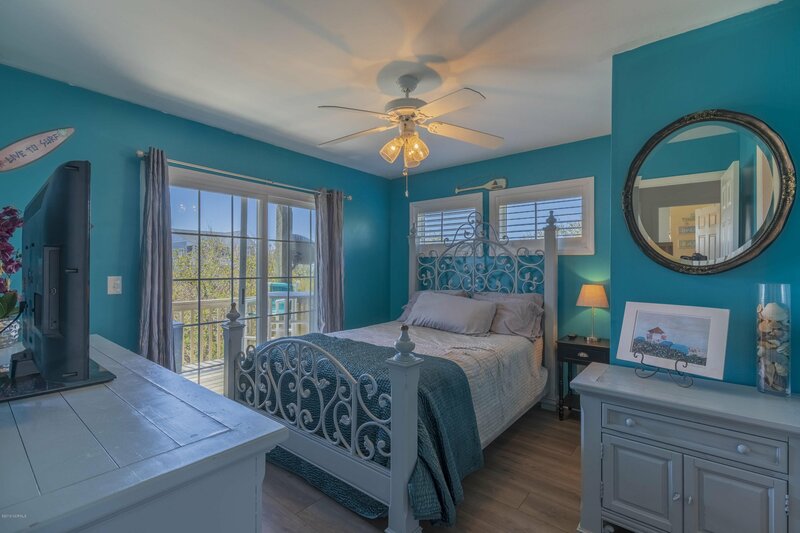 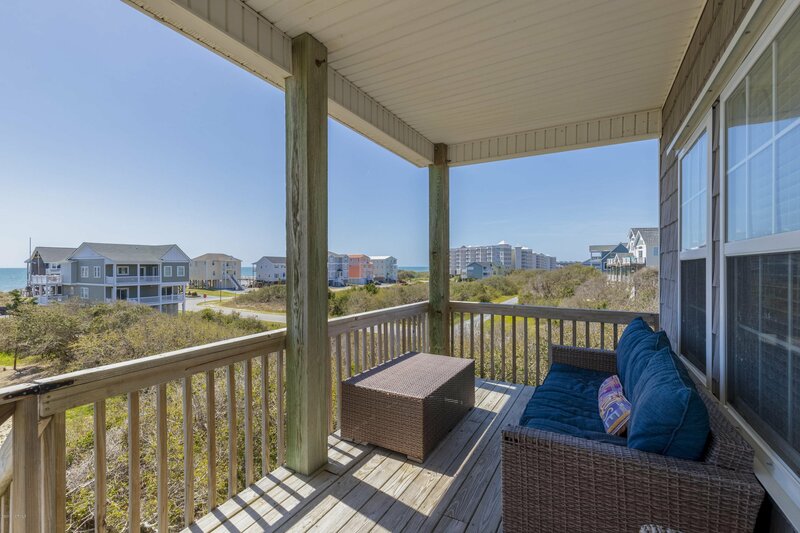 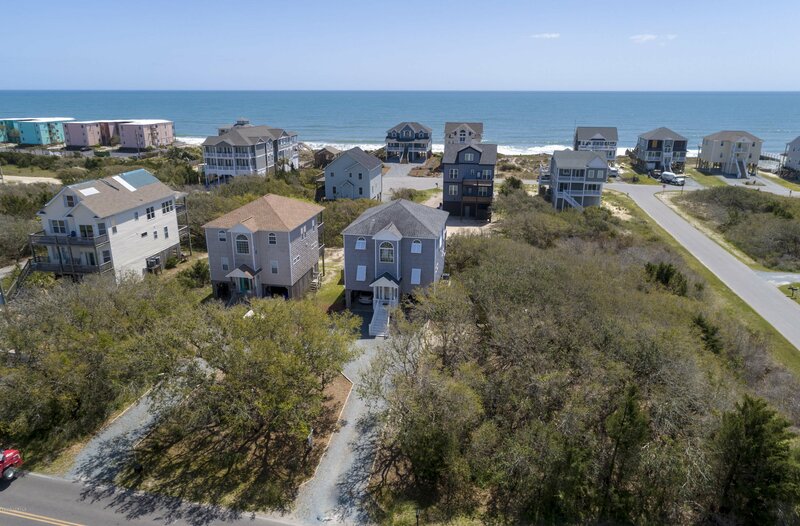 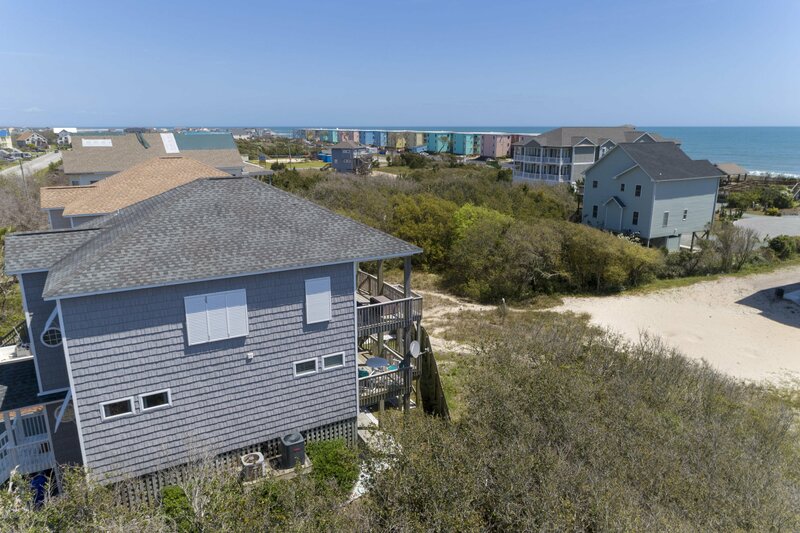 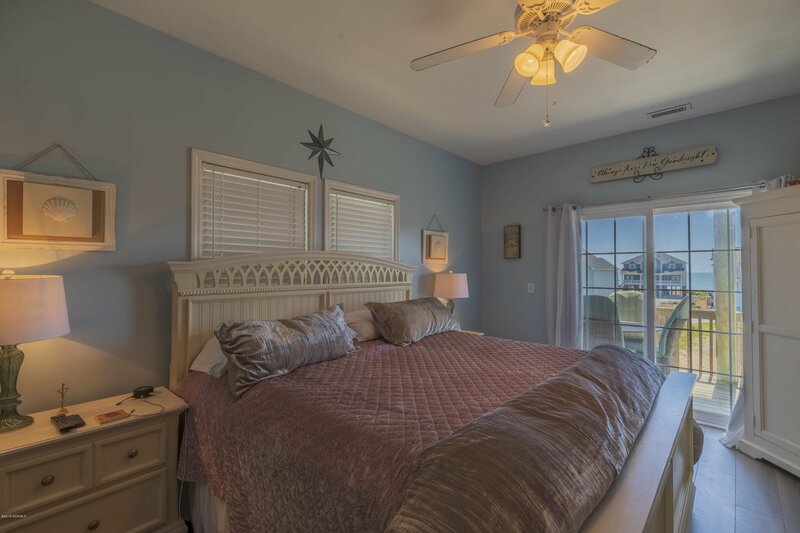 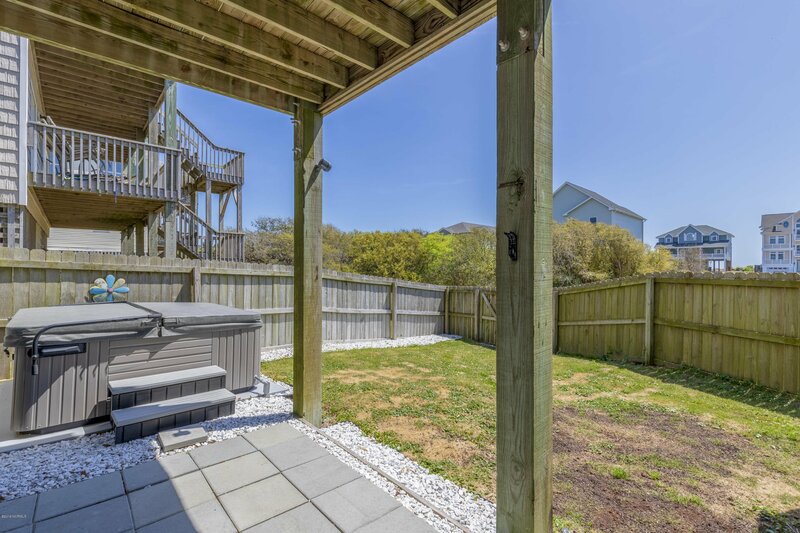 Ocean views from the back decks of this 5 bedroom 3.5 bath home in Dolphin Shores. 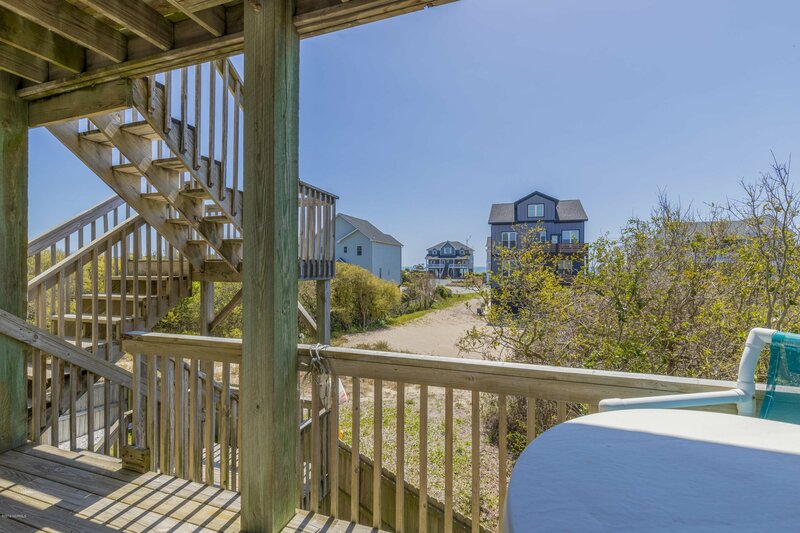 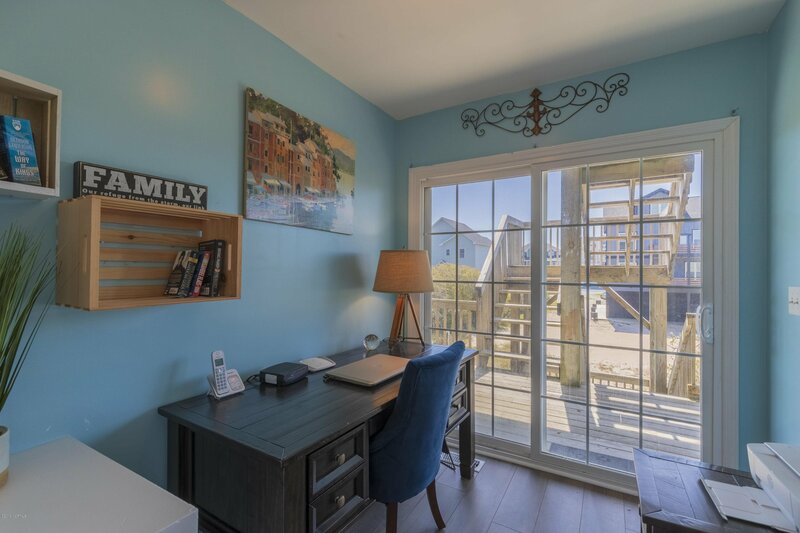 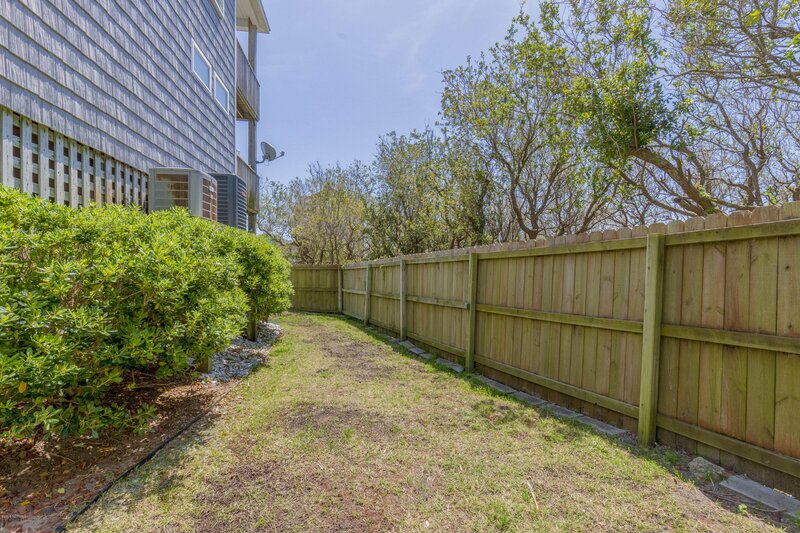 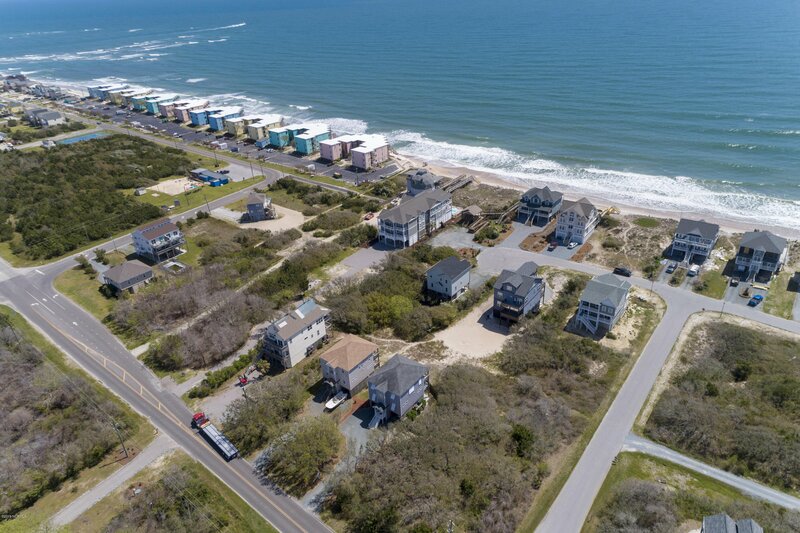 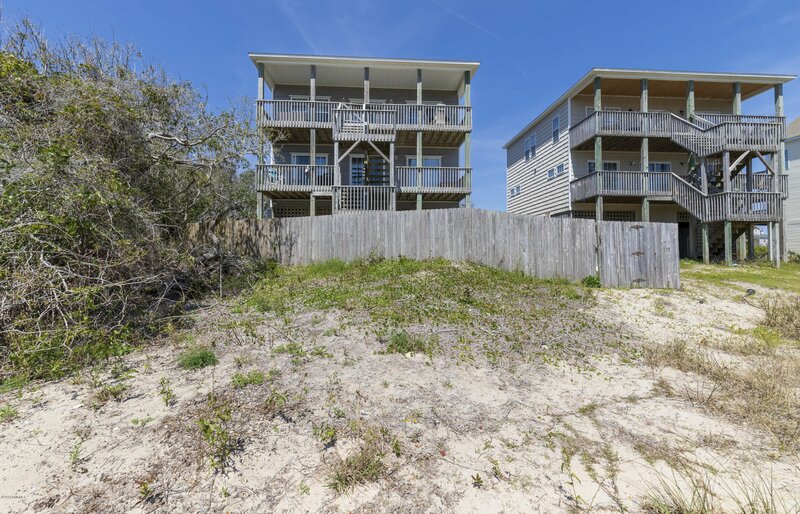 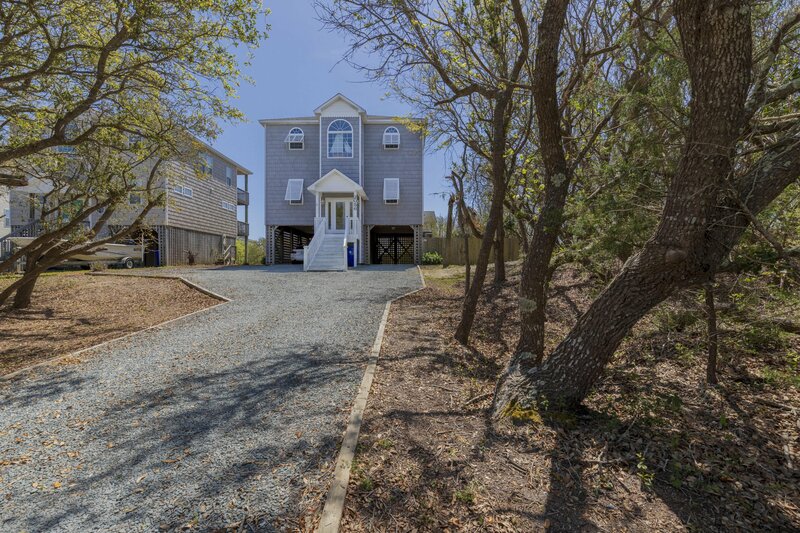 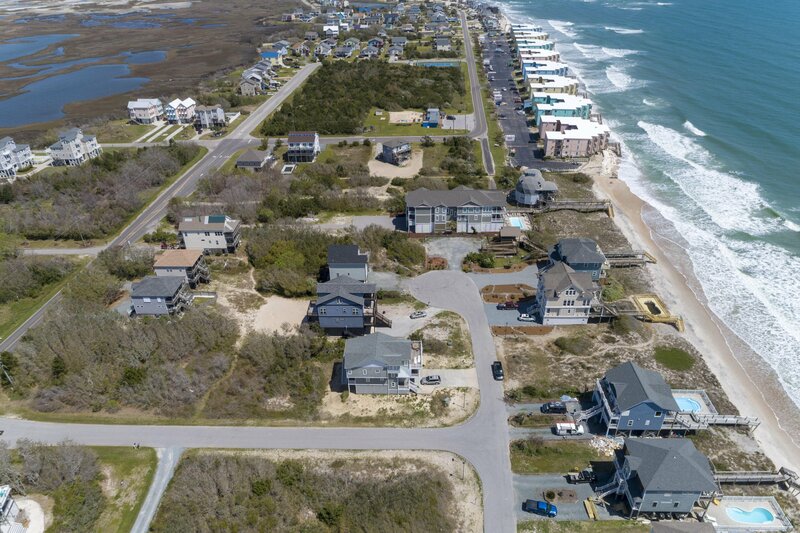 Waterfront community has both oceanfront access and sound side water access across the street. 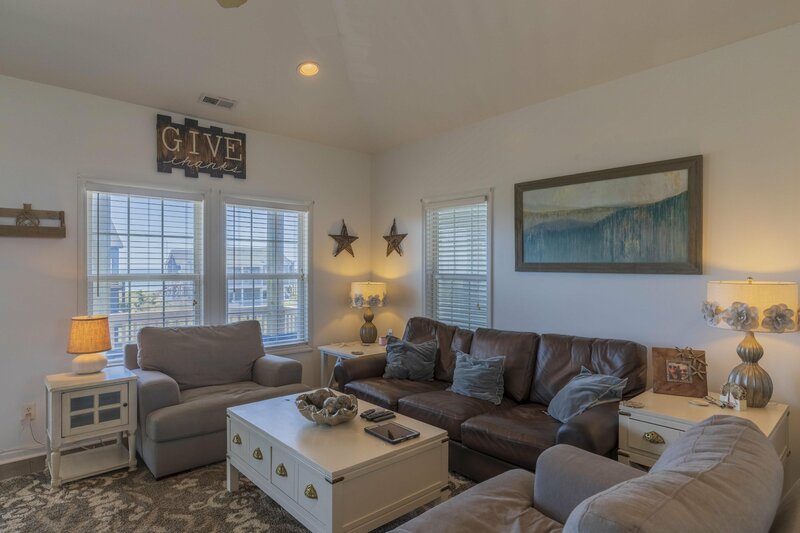 Flooring recently updated to luxury plank, newly updated, tranquil wall color throughout and new upper level high capacity hvac. 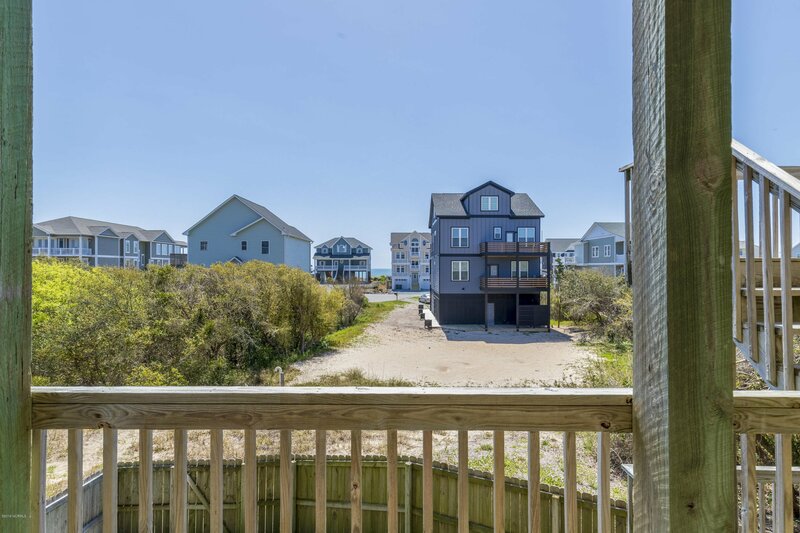 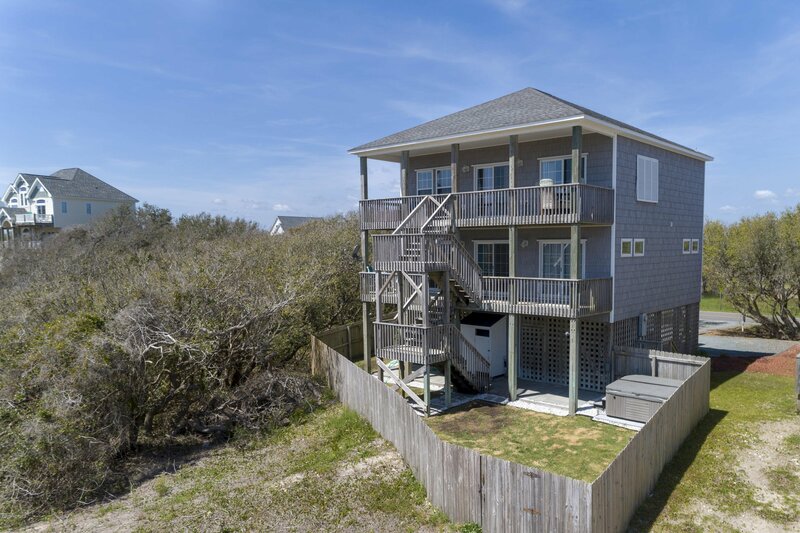 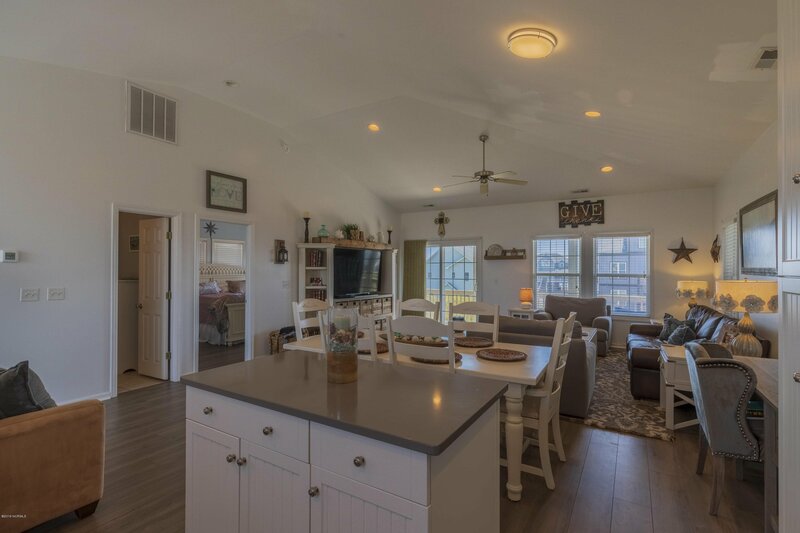 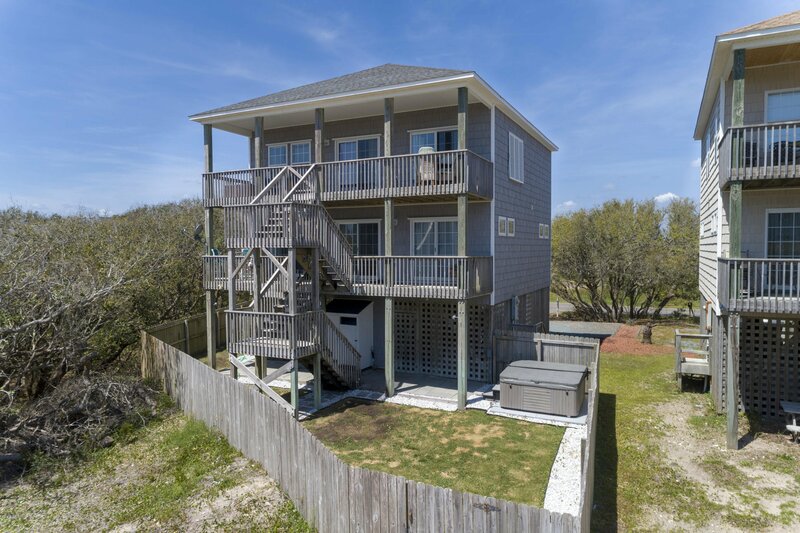 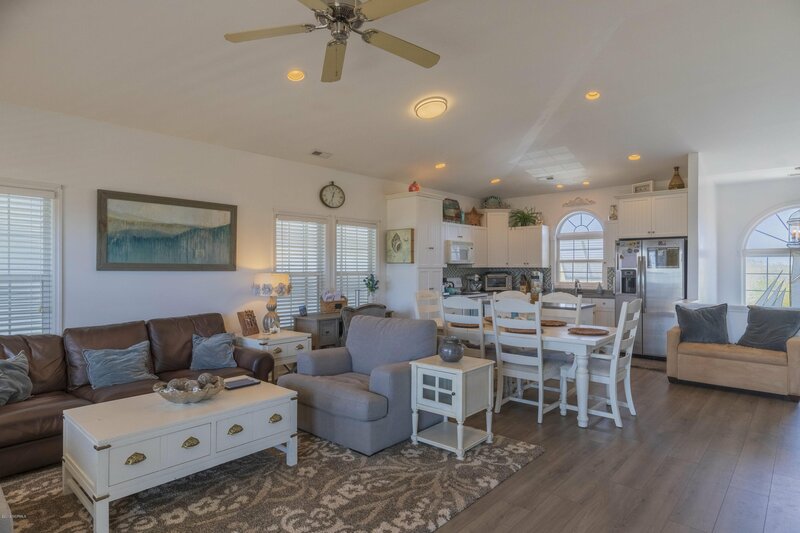 The reverse floor plan offers master on the main living level plus the fantastic views of the ocean from the top deck. 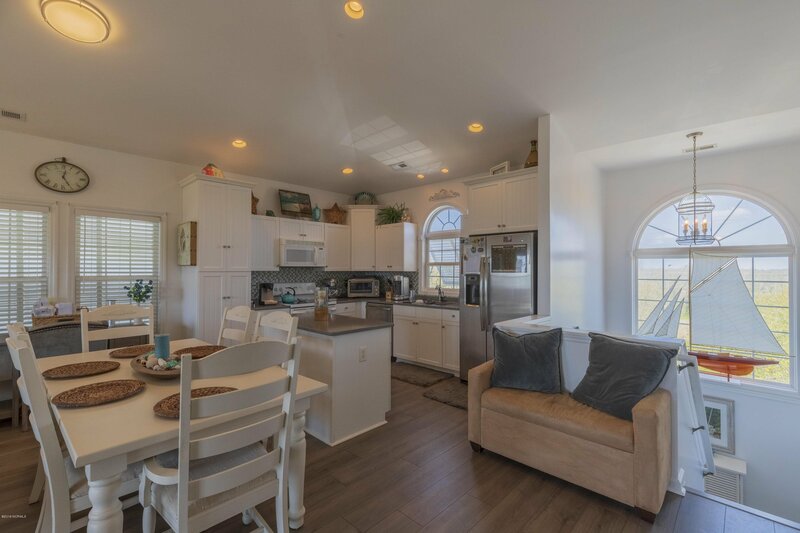 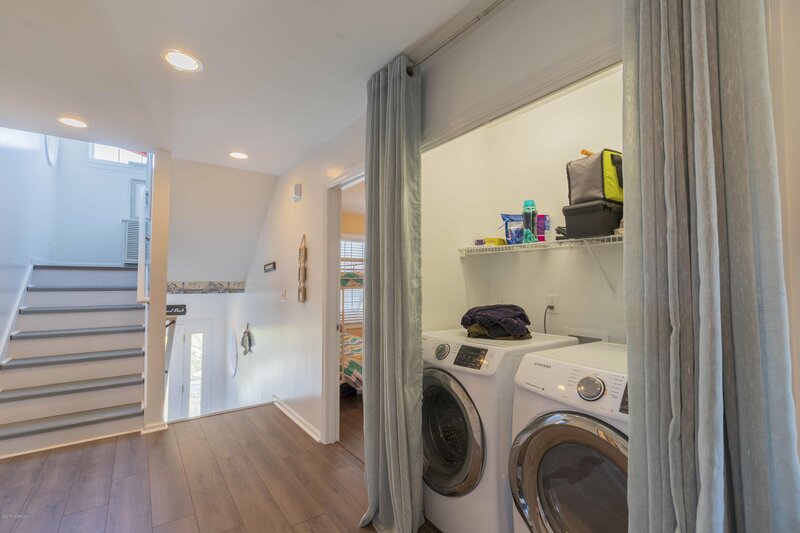 Lots of natural light from all the windows and plenty of living space to stretch out. 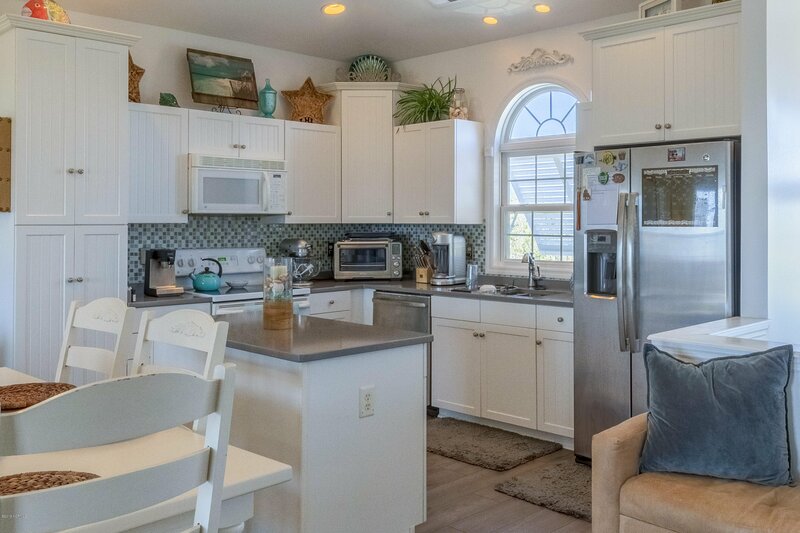 Kitchen is updated with new steel gray quartz counters and stainless refrigerator. 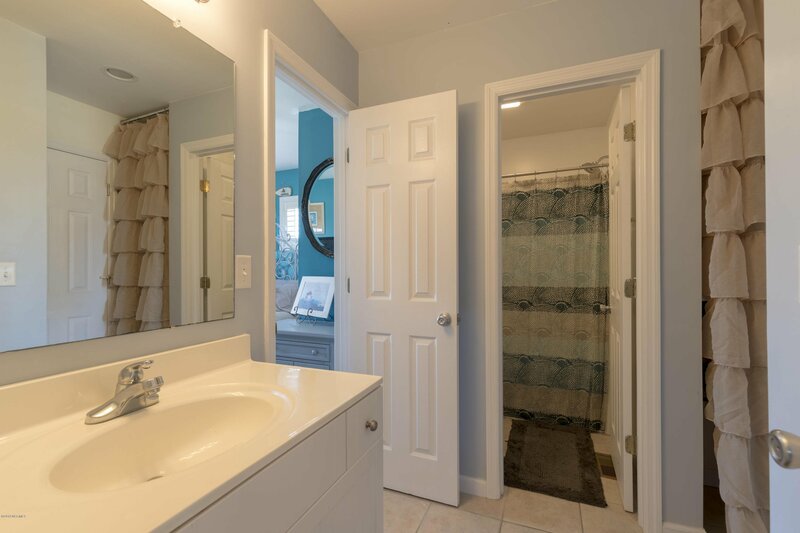 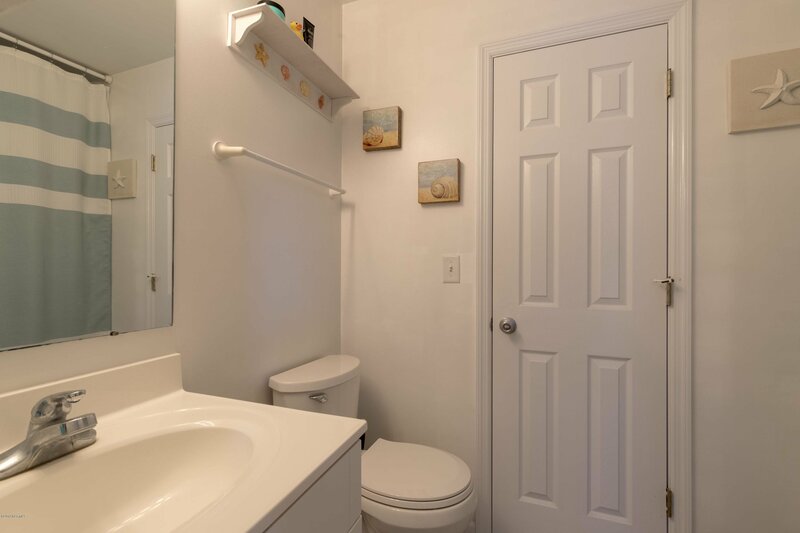 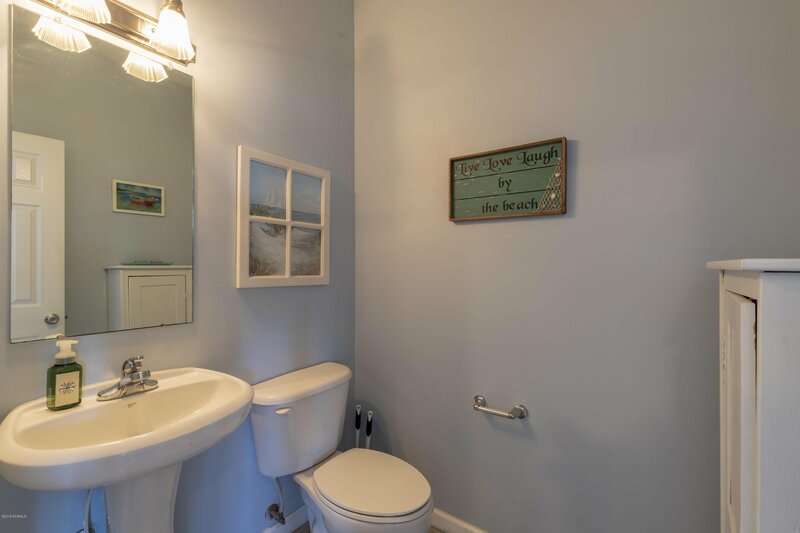 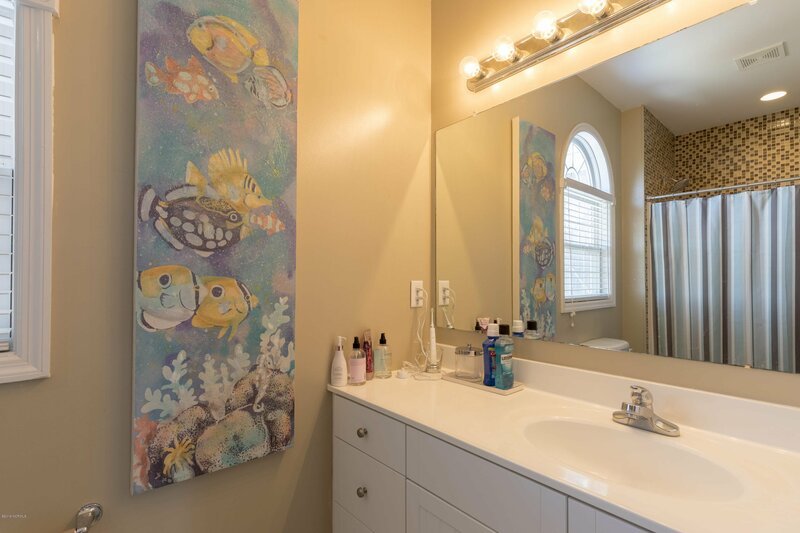 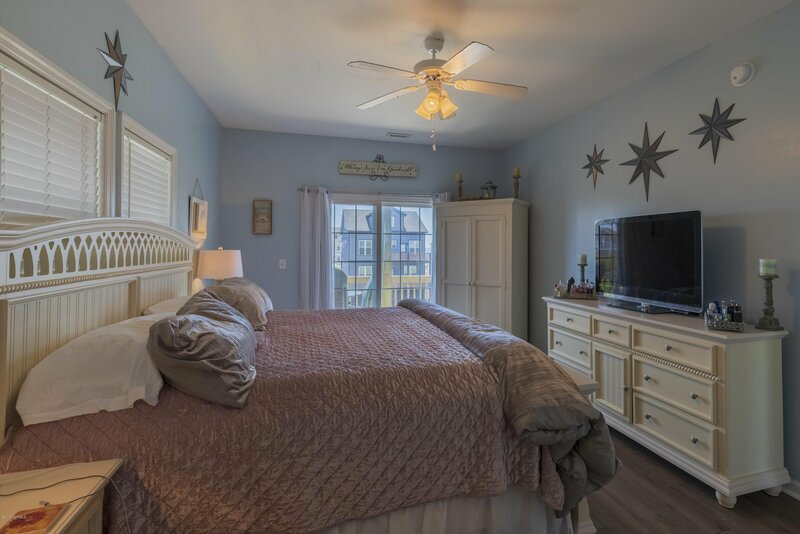 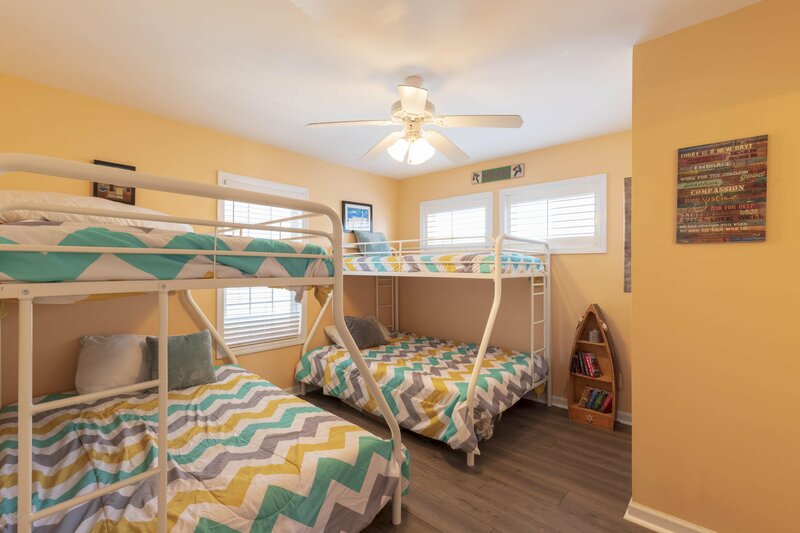 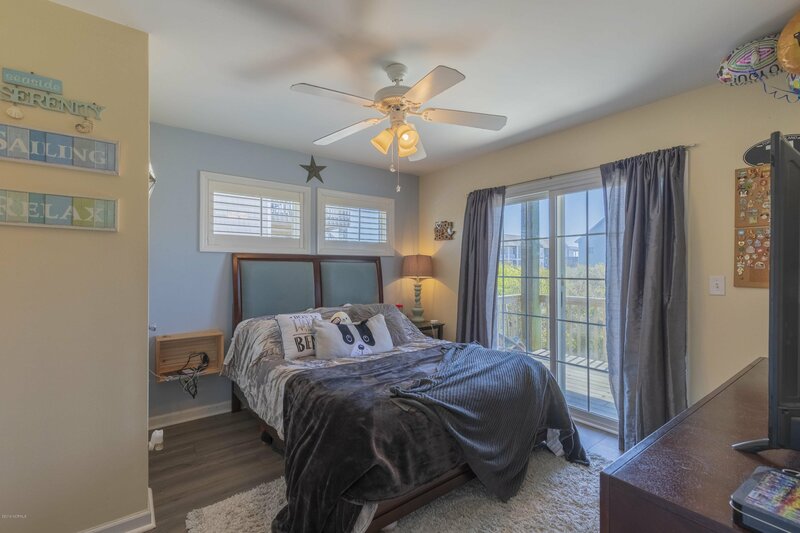 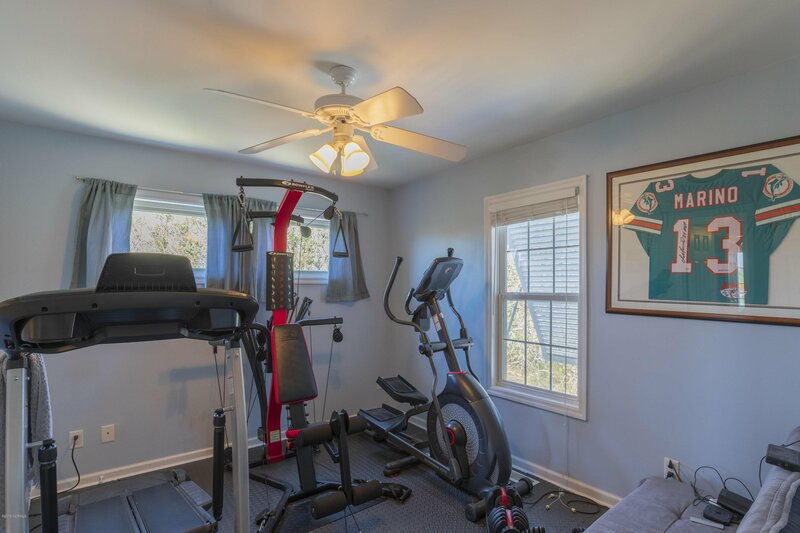 First level living has 3 large bedrooms with jack and jill full baths and large landing/hall for plenty of elbow room along with laundry area and additional living space for office or media room.